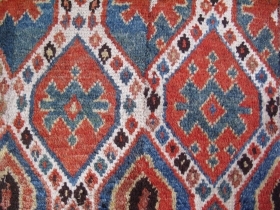 Shahsavan reverse sumak mafrash end panel with great patina and natural colors. 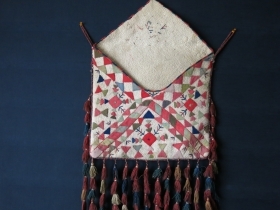 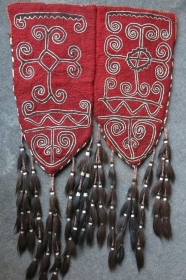 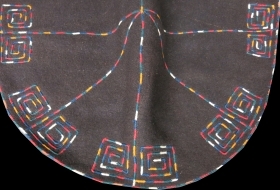 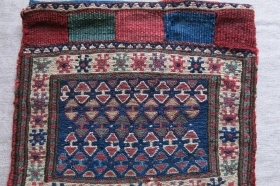 Size: 17" x 15" - 43 cm x 38 cm. 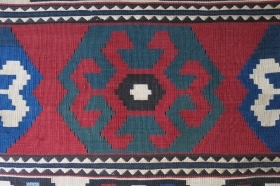 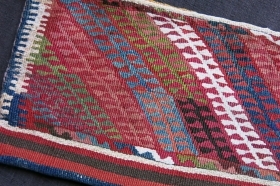 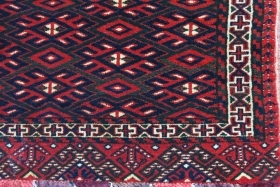 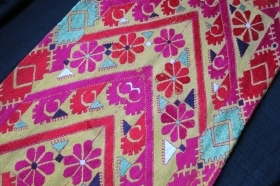 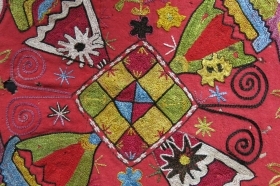 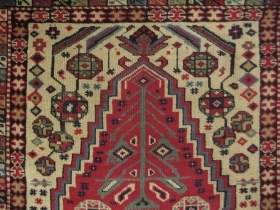 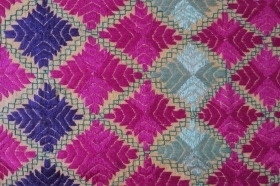 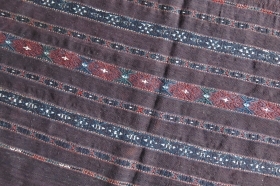 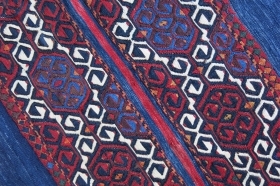 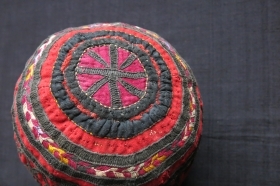 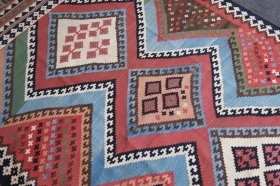 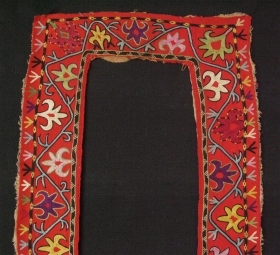 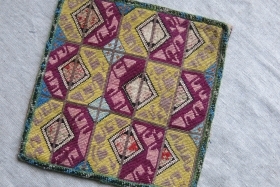 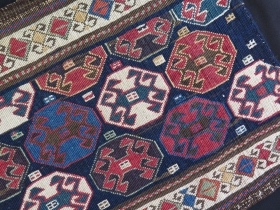 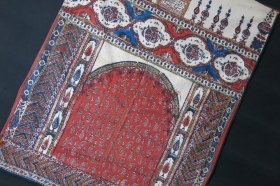 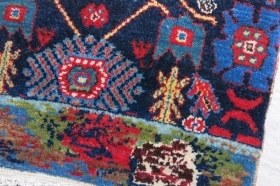 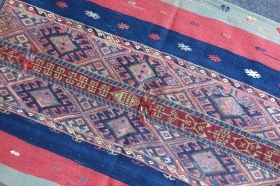 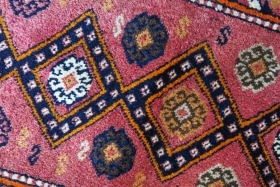 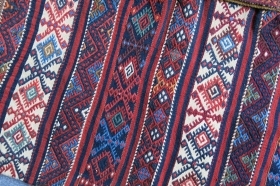 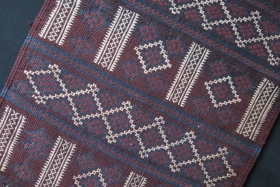 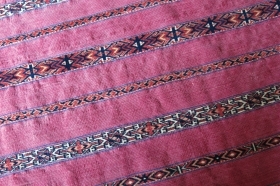 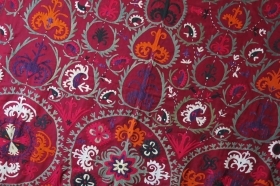 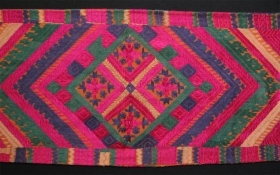 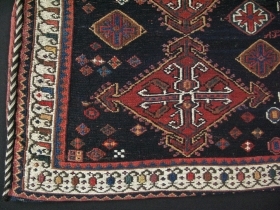 Iran Shahsavan Jajaim kilim. 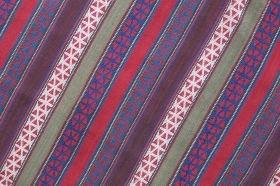 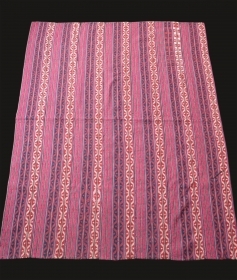 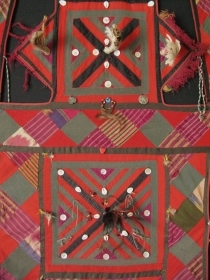 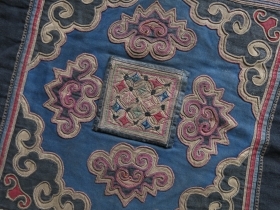 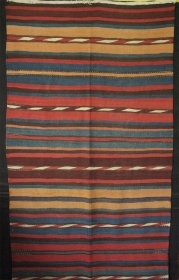 Circa late 19th - size 82" x 67" - 208 cm x 168 cm. 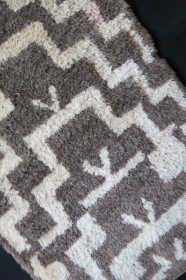 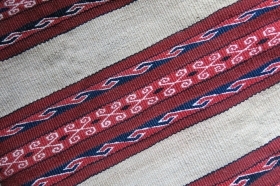 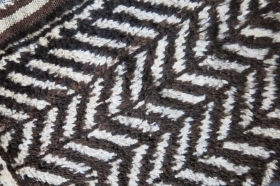 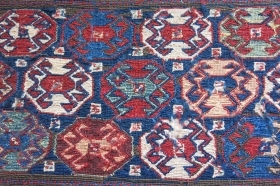 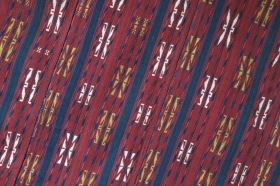 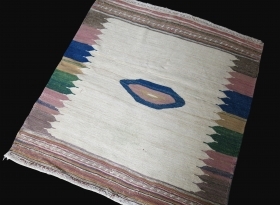 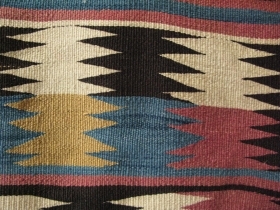 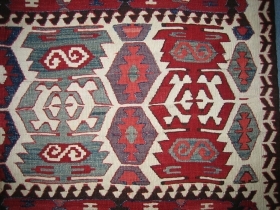 Caucasian large size kilim. 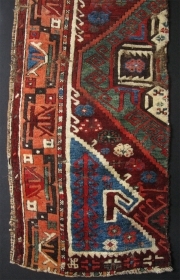 Size: 7' x 11' 2" - 216 cm x 342 cm. 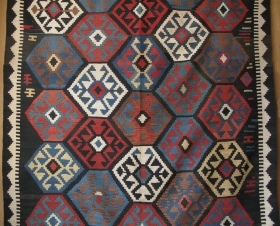 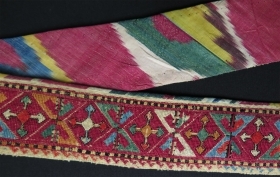 Azerbaijan Shahsavan kilim with saturated colors. 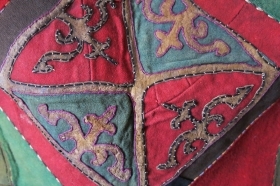 Minor good repairs. 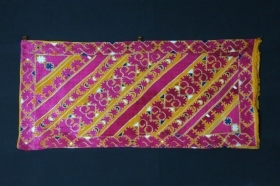 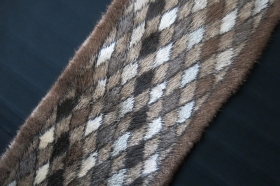 Size 47” x 134” -120 cm x 340 cm.